I am up with a simple One layer today. You might have seen on Instagram that I shared the card bases a friend of mine brought me from US. I simply used one of the card bases here for my card. 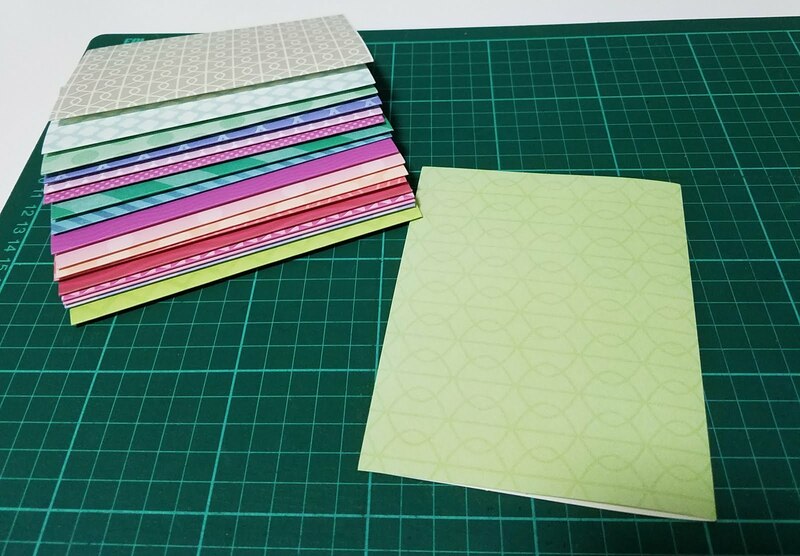 These are textured card bases. 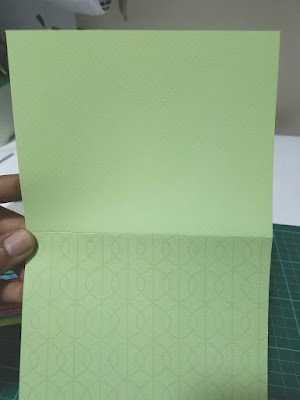 I used Uniko All Occasions Sentiments and stamped the big outlined Thanks and colored it using the green zig clean color brush marker in an Ombre shade. I stamped the small sentiment under it. A few sequins to finish of this card. Great card, loving all the greens. Thanks for playing at AAA Cards. Love the texture on cardbase, bold letters and colors!! Crisp, CAS and so elegant, subtle and perfect Rahmat. 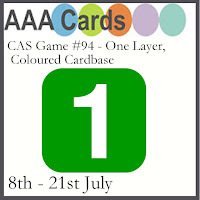 Thanks for joining in at both Less is More and AAA Cards and Less is More this week. Fabulous card ! A lovely textured card base ideal for a one layer card ! 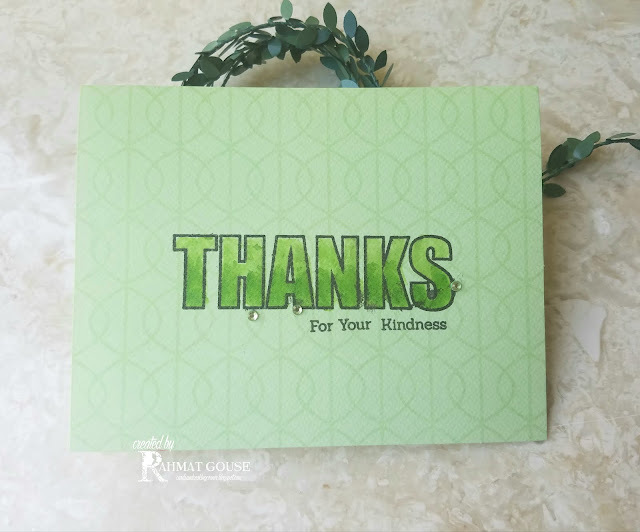 It pops up the stamped sentiment which is beautifully coloured in shade of greens ! Thanks for sharing and for playing along at Less is More ! 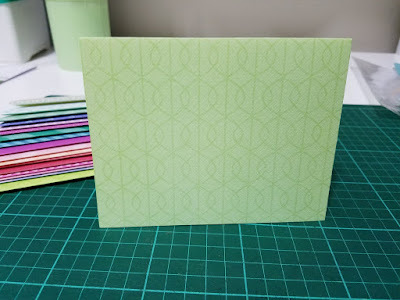 What a lovely card base Rahmat and the ombre sentiment looks perfect on it. Pretty ombre Thanks. Thank you for sharing with us at AAA Cards. 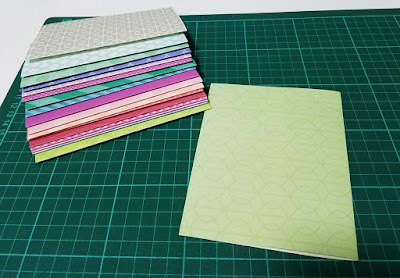 What great card bases, and perfect for exactly the kind of card you made. Letting the sentiment take centre stage with just the subtle background.